Summer showed up early in Tahoe this year. May was one of the nicest in recent memory — especially compared to last year, when we got a powder day on Memorial Weekend. And here at Tahoe Mountain Sports, we are taking advantage. 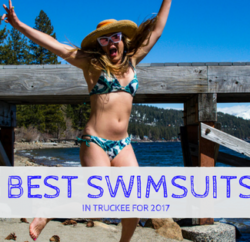 We have a great collection of summer bikinis by Lole, Carve Designs, and Next by Athena that will fit and flatter any body type. One fine May morning, we took our line of California Swimwear and a couple Big Truck hats to the beach to try them out. Here’s a few photos of the morning we went to work at the beach. 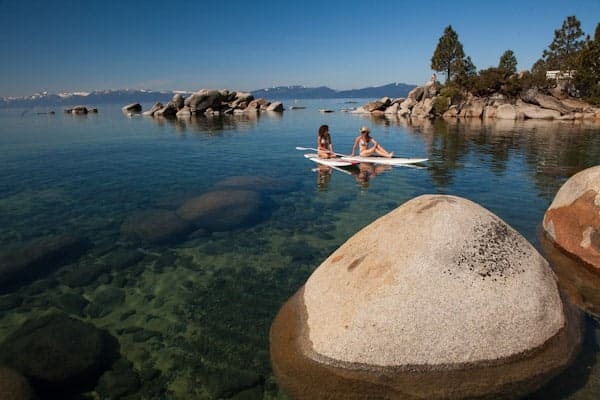 Girls in bikinis under Lake Tahoe’s bright sunny sky with a few paddle boards? What’s better?